A lovely Victorian property which has been extensively and sympathetically refurbished, quietly situated yet within minutes walk of Keswick's Market Square, the Lake, Theatre and surrounding fells. 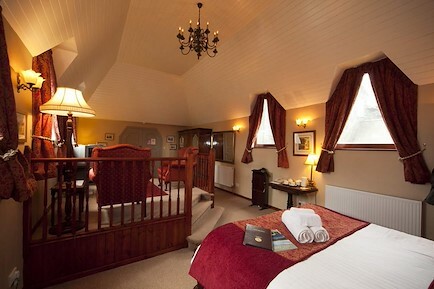 Our superior en suite rooms, cosy lounge overlooking Walla Crag, very friendly atmosphere and superb food make the Edwardene a delightful place to stay. We also cater to the same high standards for people with vegetarian, coeliac and vegan dietary requirements. We are completely non-smoking and have secure cycle storage and drying facilities available. The Edwardene serves as an excellent base to explore the central and northern Lake District, whether for a relaxing break away from it all, or for discovering the beauty of the mountains, fells and lakes of this outstanding area. We have many varied walks from the door varying from the level walk on the old railway to Skiddaw, England’s fourth highest mountain and many others in between. From M6 jct 40 follow A66 to Keswick approx 17miles. From the A66 follow the sign for Keswick and exit onto the slip road. From the slip road turn left and carry on until you reach the T junction. Turn right heading towards Keswick for approx 1 mile. Opposite the War Memorial and just before the Pedestrian crossing turn left into Station Street and immediate left into Southey Street, (in practice this is one sharp left turn) we are 150meters on the right. By bus take X4, X5, X555 and alight at Keswick War Memorial then as above. By train to Penrith, then from outside the train station catch the X4 or X5 bus to Keswick or taxis are also available from outside the station. Your enquiry will be sent directly to The Edwardene. Please fill in as much detail as you can.